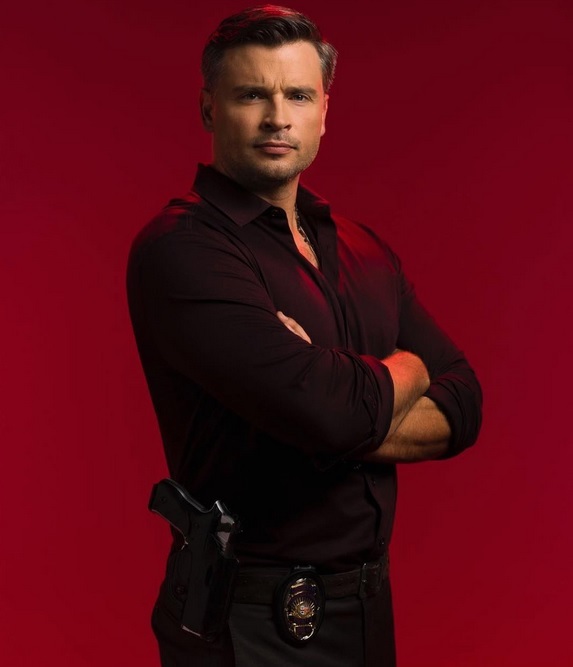 So Tom Welling is back on TV (Lucifer) and look how hot he is! 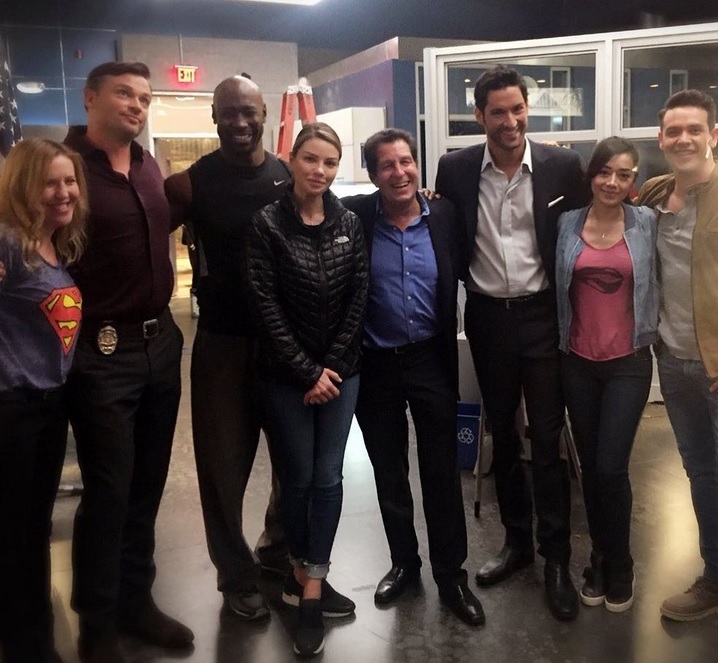 Tom with his new cast-mates! Michael recently appeared on the "Geek Nation" podcast and mentioned Tom. 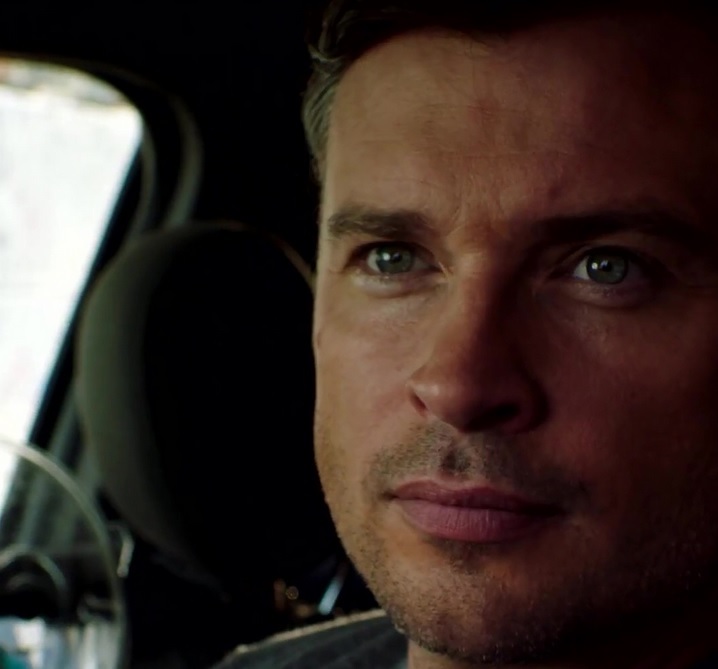 On Smallville: "Everyday you look at Tom Welling, seeing him shirtless. "Oh great." And he's seeing me naked and is like, "Oh great, Rosenbaum's naked again." I just had him on the podcast and we were talking about old times." On Kristin: "Kristin Kreuk just emailed me the other day and was like "I haven't talked to you forever, I'm in Toronto, and I miss you and I hope you're well!" And in closing, a few Michael 'caps: smiley & nipply. If you haven't seen Lucifer, it's good fun. Doesn't take itself seriously, loads of beautiful people in the cast. A great fit for Tom. I did see the pilot, no further. I'll check out your youtube link when I have time, though. Tom is doing a great job of differentiating himself from Clark with this show, and he seems to be having loads of fun with the cast. I loved the first episode and can't wait for more. I like that Lucifer's bisexuality is canon on the show, it makes Marcus's chemistry with Luci that much more intriguing! I hope Lucifer can prove to Hollywood that Tom can retain and build on his fan base while leaving the cape behind. 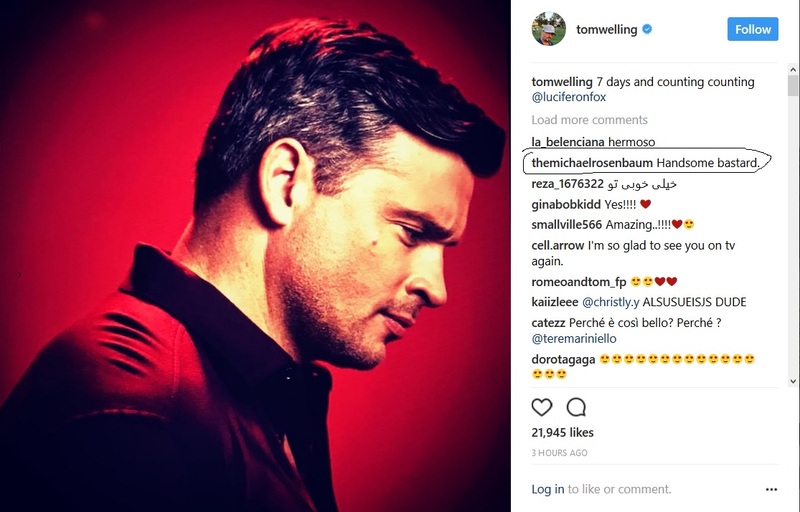 So happy that Tom is giving social media more of a go. 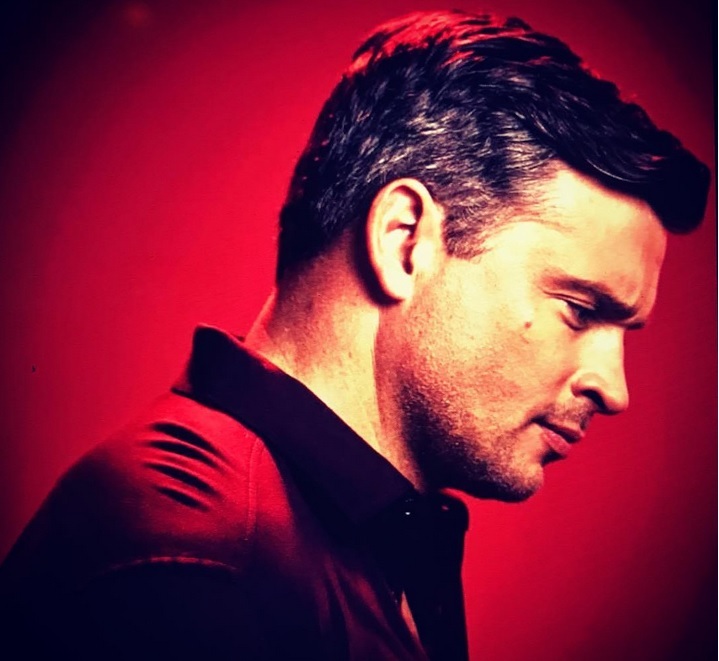 It seems clear he views it as a necessary evil, but he also knows what his fans want and gives it to us (like that amazing profile promo pic). 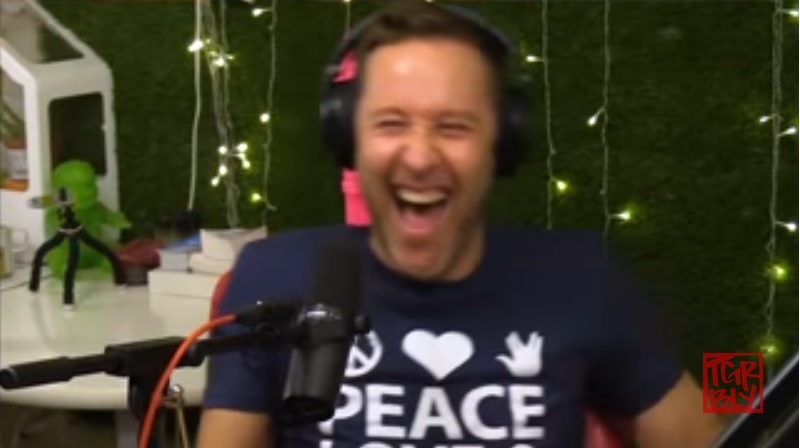 It was so cute when Michael said during the podcast, "You don't even follow me!" 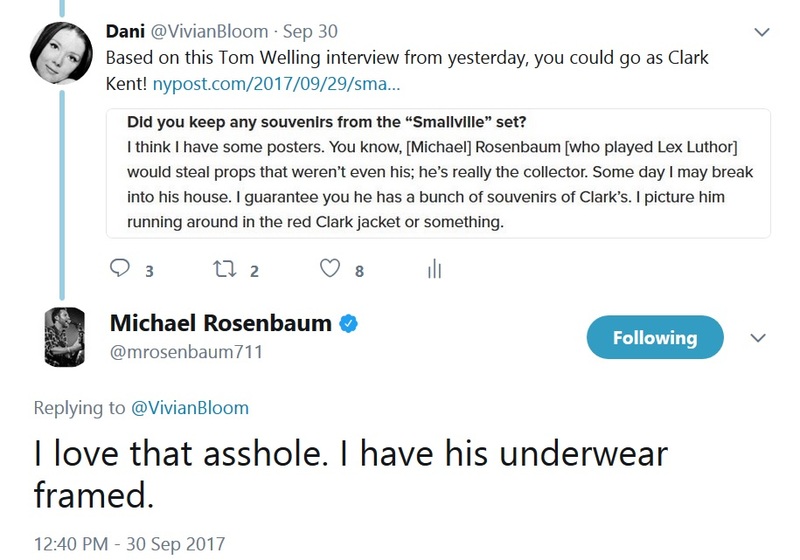 I think you should frame Michael's tweet like he framed Tom's underwear. What an awesome reply!! I would love to see KK on the podcast, I'll bet she and Michael would have a wonderful conversation. Tom is doing a great job of differentiating himself from Clark with this show, and he seems to be having loads of fun with the cast. It seems like a lovely, no drama cast. Tom fits right in! I like that Lucifer's bisexuality is canon on the show, it makes Marcus's chemistry with Luci that much more intriguing! Michael could be the ONE person he follows, for maximum adorability! I would love to see KK on the podcast, I'll bet she and Michael would have a wonderful conversation. They'd have some good reminiscences, I bet! I think you should frame Michael's tweet like he framed Tom's underwear. What an awesome reply!! That was very exciting! And credit is due to you for finding that interview - love when the boys give each other shout-outs. Tom made a FABULOUS entrance last night! I approve of how the camera slowly ascended his body, lingering on the thighs. I can't wait to see Marcus interacting with Lucifer more. Too much Tom prettiness together. Here's to lots of Tom-on-Tom action! LOL! Great entrance. Thanks for the link. Might have to start watching the show. It's a fun show, quite lighthearted. Tom Ellis is very charming as Lucifer and our Tom was a fan before he joined the cast! I love that scene. No news of when the new season is starting here. Typical. I'll probably have to wait a few months. I love Michael's response to your tweet. Michael is wonderful and naughty! Hopefully Lucifer gets to NZ soon. Have not seen any Lucifer so the slightly odd camp voice Tom E is using took me by surprise somewhat! Might take a bit of getting used to if it ever shows up somewhere where I can watch it. I think you'd enjoy it. The comic it's based on is apparently quite dark & angsty but the show is a bubbly, camp procedural. Ellis is great. Lucifer is canonically bi so that adds to the general fun. Their love is pure and eternal. Yeah, I don't use Amazon though. But thanks! Probably just as well - I really don't have time for more TV anyway! It's good, lighthearted fun - and Tom's episode count has apparently been raised to 17!!! That would be awesome! Tom is very beautiful on Lucifer - perfect for art!